Ep. 10: Hani Mourra – One Dream After Another | Aimee J. Many people have dreams and skills that could support those dreams. But they don’t always know it. In this episode of Chasing Dreams, Aimee J. is chatting with someone whose dreams took shape as he put his skills to work. Hani Mourra is a software engineer who somewhat stumbled into the internet by helping a friend get some videos onto YouTube. The friend began to see great traffic on his videos and encouraged Hani to consider making a business out of what he was doing, somehow. Listen in as Hani shares his story with Aimee. There’s no doubt you’ll find something encouraging to prompt you on your own dream chasing journey. Many times the dream takes shape through the things you learn on the way. Hani Mourra spent many years blogging about video tips on his site http://www.EasyOnlineVideoTips.com. It was in those years of blogging that Hani learned a lot about how to assess the needs of a market, hone ideas for the market, and developing a project for a trial launch in that market. It was a great time of learning that equipped him for the path ahead. As he began thinking through what he’d learned and started applying it to an idea (Simple Video Press) the excitement started to build. The dream was taking shape. Hear how Hani sees those years of trial and error and learning, and how he put them into practice in practical ways – on this episode of Chasing Dreams. Taking action: where life comes to the dream. Hani’s ideas existed only in his head. If they were going to come to life and benefit people like he thought they would, Hani had to take action. That’s when the dream began to come to life. Just like childbirth there’s a lot of struggle to bring the idea to life, a lot of pain in learning how to get it out of your head and into reality. But as Hani started working on his Simple Video Press plugin it did begin to take shape. What is your dream? Why aren’t you getting started, taking action to make it a reality? Listening to this episode may be dangerous: If you’re not ready to take action, that is. Hani never had a dream to build a software empire. You learn by doing and trying. That’s what Hani believes because that’s what he experienced. As he started trying to create his first plugin, he learned how to adapt the skills he was learning to new ideas and projects. One after another they came together to produce a software company that’s helping many video and podcast producers. His dream was vague and undefined at first but as he took action, small step at a time, his dream began to take shape. What can you move to move in the area of your interests, to get started working on something you enjoy? Hani’s story could give you some insight into what those things might be, so be sure to listen. The Chasing Dreams Podcast is all about you and your dreams. 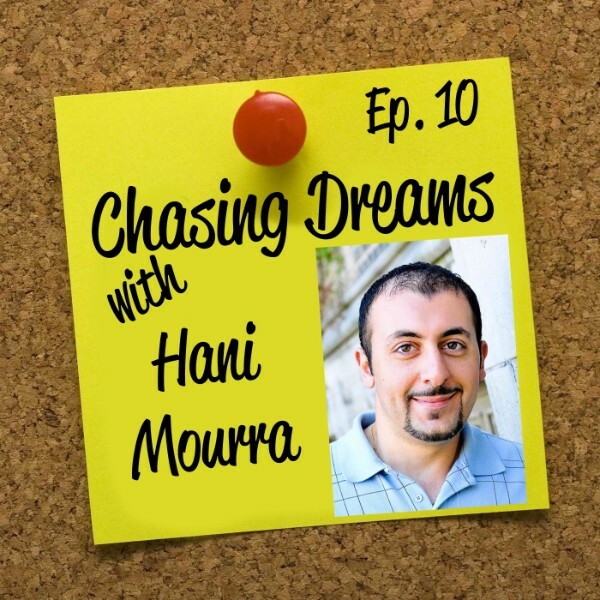 Just like Hani Mourra, today’s guest on the Chasing Dreams podcast, you have dreams for who you want to be and what you want to do, but you may not know it. This podcast is aired each week to give you insights into how others have discovered, developed, and deployed their dreams, in hopes that you will be inspired to do the same. Whatever you do, don’t stop dreaming. Don’t stop thinking those “what if” thoughts that just might turn into a business, a life goal, or a development or invention that could change the world. We all need your dream to come to life. [0:47] Welcome and introduction of Hani Moura, software engineer, podcast and video producer. [1:30] How do you do it all Hani? You’re a busy guy! [3:25] Did you always want to be a software engineer, or have your own business? [4:40] How Simple Video Press came about: Hani’s journey into the internet. [12:10] Using years of blogging to get a feel for a market and how it impacted his future ideas and projects. [15:30] The journey from Simple Video Press to Simple Podcast Press. [17:55] What kept Hani going during the tough times and obstacles that he hit. [19:05] Hani’s description of what it feels like to see the fruits of your labor come to pass. [21:35] The most rewarding part of seeing your project in action. [22:07] How Hani dealt with feedback once his project was live. [24:36] Why did Hani create a podcast player plugin when he didn’t have his own podcast? [27:45] How the idea for Simple Podcast Player came about and how Hani pursued the process of developing it. [34:40] A series of small dreams that have led to a bigger dream. [38:12] Hani’s plans to launch his own podcast, hopefully by the end of 2015. [41:10] The Rapid Fire game. Take small steps forward toward something, even if you’re not sure it’s the right path. Just standing still, you won’t go anywhere. Aimee challenged Hani to her rapid fire game where the two of them exchange answers to fit the category. The first one to hesitate too long or come up with a patently wrong answer is the loser.